Bernalillo County Sheriff’s Department and Las Cruces Police Department are both hosting Rolling Surveillance law enforcement training in September and October 2018, respectively. Rolling Surveillance is the top in mobile surveillance courses in the country. 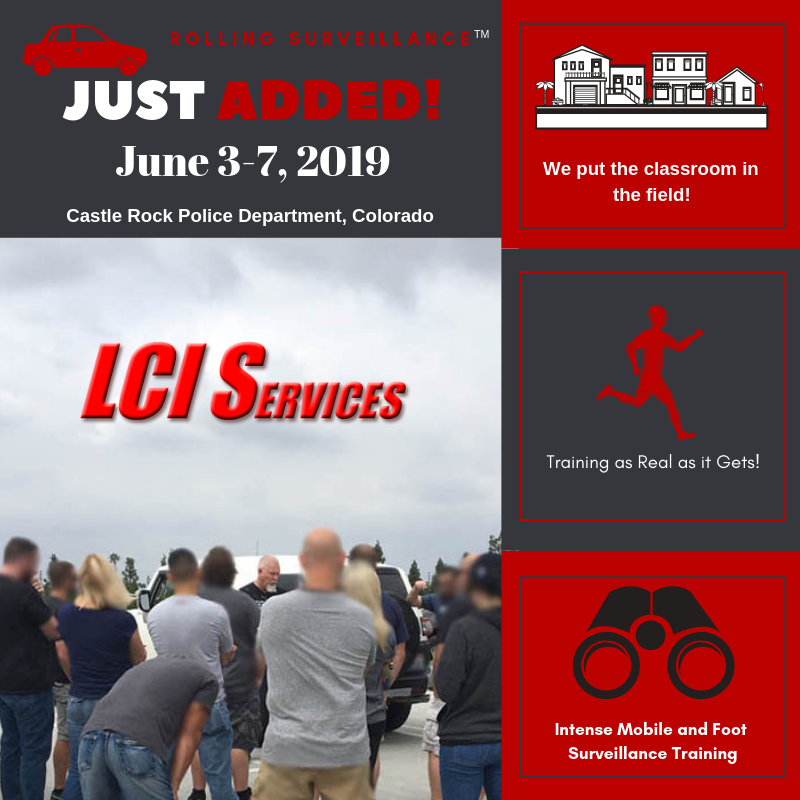 Tim Lewis, the instructor, originated taking rolling surveillance training for law enforcement into the field, with real life scenarios in uncontrolled environments. This is the first week of a two week course. Be sure to take Rolling Surveillance II to complete your training. On Monday you learn the techniques and lingo, then on Tues, Wed, and Thurs you will go out into the field and work what you learned on Monday (with occasional debriefs to help you clean up your techniques) , getting the top hands-on training available. Friday is a thorough debrief to see how well you employed what you learned throughout the week and how you can improve upon it! Be sure to register online today to reserve your spot in the class before it’s full. We hope to see you there! ~ Det. J. Jacobson – Albuquerque P.D.